I would like to introduce my self and add my bus here. It is 87 2.1 7 seater Caravelle. 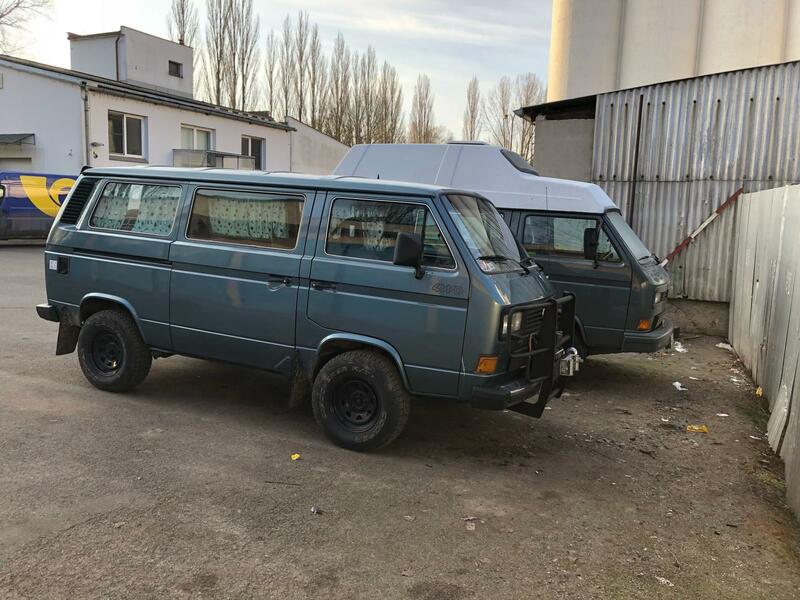 First owner was from Finland, bought in Poland and now the conversion is being finished with EJ25 transplant as the WBX lost lot of its potential trough the 300K Km which are on clock. The pop top is Mozaik kit I managed to find in Germany and the roof was repainted and new tend installed. 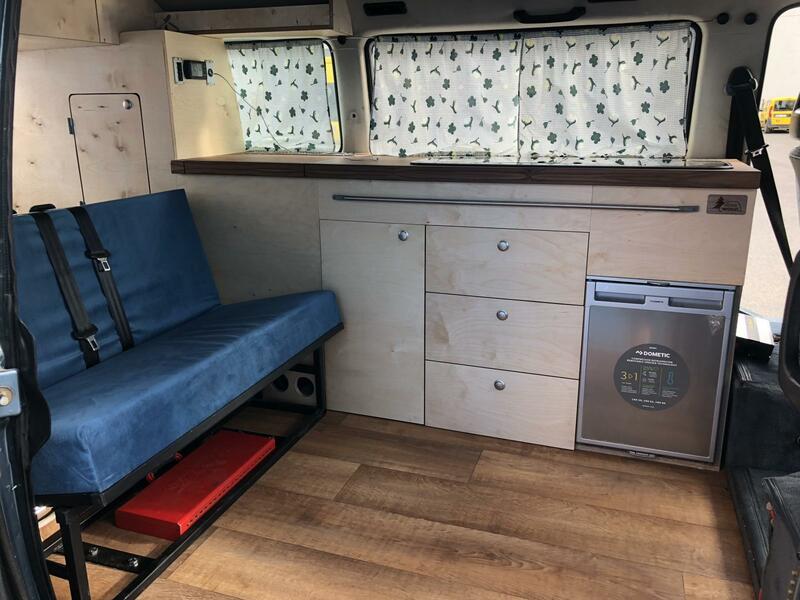 Interior is plywood with M1 bed. After everything will be finished (still some thinks to finish in interior) and registration headache I want to bring it to Ireland where we do live at the moment. I'd like to introduce myself. 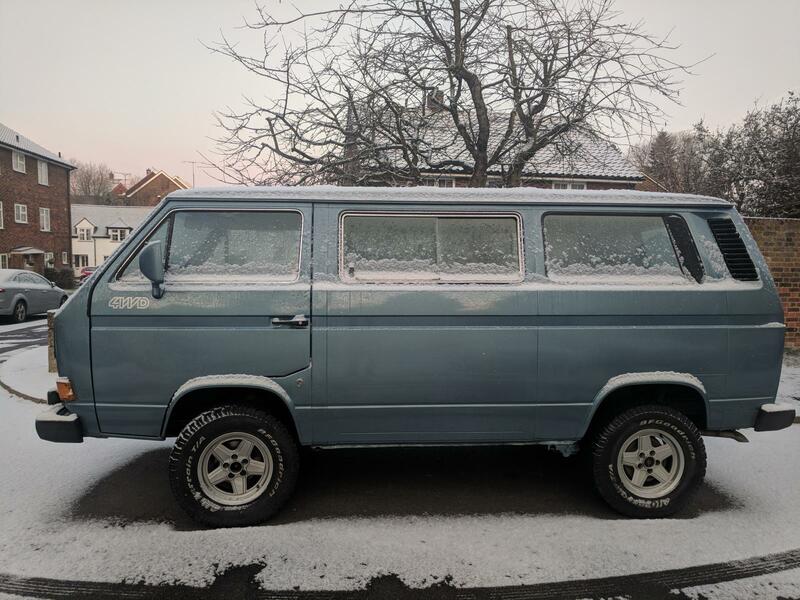 My name is Fabio, and I bought a 1988 Caravelle Syncro back in February. The van spent the summer at Coast VW for a mechanical overhaul and it is now back on the road. I kept the 1.9 AAZ TD, upgraded radiator, turbo, pump and fitted an intercooler. A few more details about this syncro: dove grey, RHD, 3 knobs, 8 seater, AC, ABS, heated driver seat. Final drive is 4.86, tyres 235/75 R15, I think it has a longer 4th gear as on the motorway it does 75mph at around 3000rpm (is 4th gear 0.70? can someone confirm?). 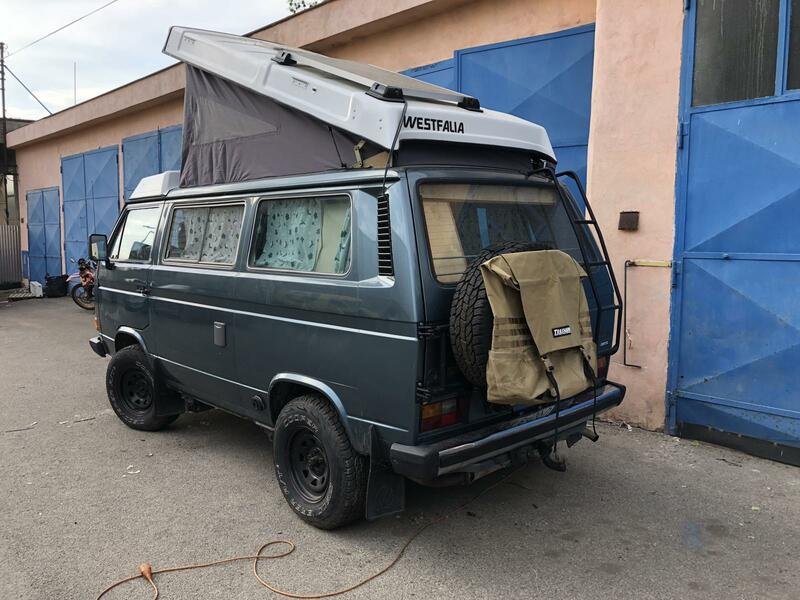 At some point next year it will go back to South Molton for a camper conversion (I have all the westy bits in my garage, bought from an american westy van breaking for parts. Incredibly van was same colour and also had AC. Thanks Aidan for all the advice over the past months. Here's a photo I took end of Feb when the Beast of the East hit the UK. I updated the list, please see a few vans at the bottom that I think were not accounted. Mine is 193. Robin = 149 rh, caravelle, Goldy 14"
Peninsulakid = 156, Just bought another one! 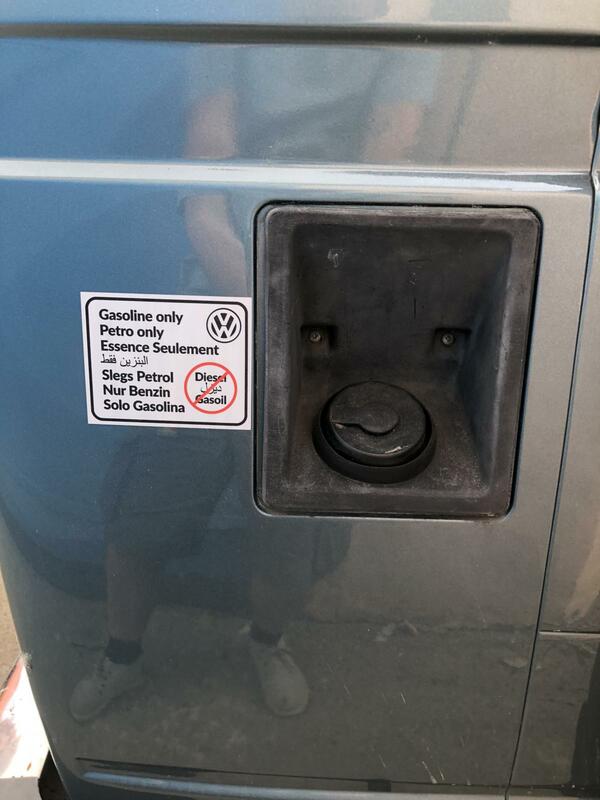 Panel van with 1.9DG,checked with previous owner that not on list already. May have to sell LPG Doka with Vindic. 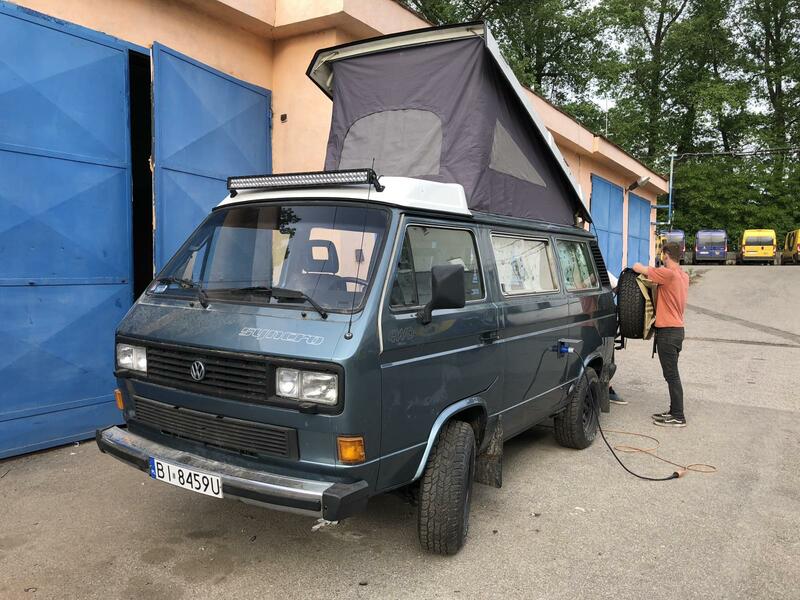 stevealex = 172 doka 16"
sally (axewoman) =180 1987 westy french inport poptop.